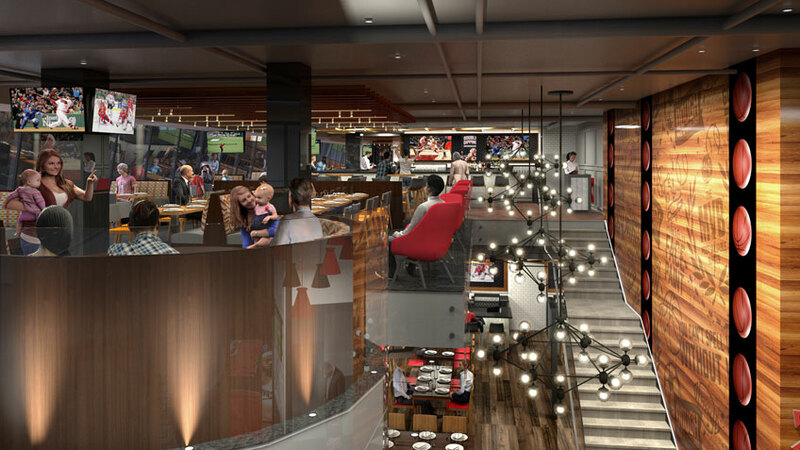 Boston Pizza is unveiling a new restaurant bar concept, designed by Shikatani Lacroix, on March 31 that highlights Boston Pizza’s unique family dining and sports bar experiences under one roof. The newly renovated space is located in Toronto’s downtown core at the corner of Front and John Streets. 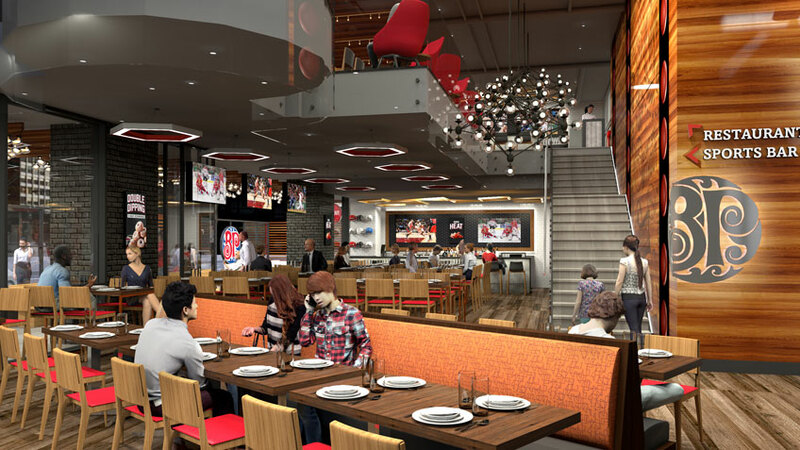 “With this new design concept, Boston Pizza reinforces its reputation as the ultimate sports entertainment restaurant destination,” said Jean-Pierre Lacroix, President of Shikatani Lacroix. Shikatani Lacroix designed an adaptable and scalable program to effortlessly accommodate everything from large corporate groups and little league teams to a couple dining and everyone in between. The digital content is presented on an engaging Boston Pizza digital canvas layered throughout the environment that positions Boston Pizza as the ultimate provider of sports content for professional sports fans and local teams alike. Fun graphics throughout the space create playful moments that pay homage to sports, the city and its citizens, while emphasizing the Boston Pizza brand. With an a more grounded economy, expanded purchaser certainty and general developing interest from buyers, the Restaurant business is relied upon to hit a record high of $683 billion in deals before the current year’s over, speaking to the fifth back to back year of genuine development in Restaurant deals. For Restaurant proprietors who are considering approaches to separate themselves and increment income, now may be the ideal time to Renovate Restaurant.